I'm going to be on the lookout for more cookie stamps now. This could be addictive! Must get me some Wilton colours. I'm so glad you liked the biscuit recipe. Thank you and thanks for pointing me in the direction of your biscuit recipe. I think it will prove to be really versatile. 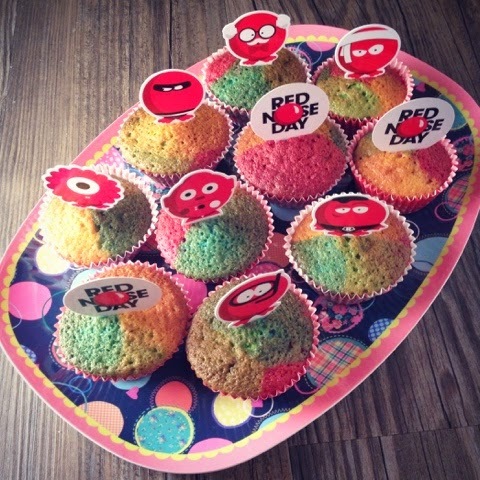 How fun, I love the stamped biscuits and your version of the rainbow cakes. Both look delicious. Thank you. I love a fun and quirky bake. They were indeed delicious. I never thought those biscuit stamps worked at all but they look really effective. I know my daughter will be asking for the rainbow cakes for her next birthday. Thanks for linking up. 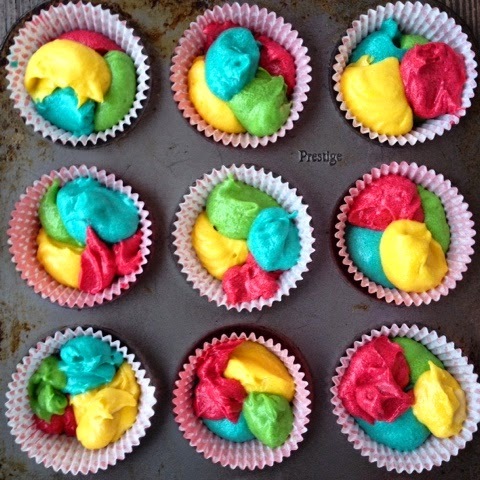 Me and my daughter had such fun making the rainbow cupcakes. She's already planning another two batches for her friends at lifesaving and jafa. The cupcakes look fab, just perfect for fundraising. Thank You! Everyone seems to love them - both the little and big kids. Love these! I know the boys would enjoy making rainbow cakes too. 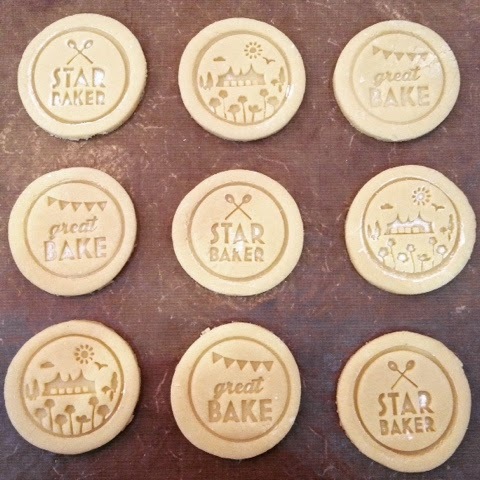 I hope you have success with the stamped biscuits, there's definitely a wee bit or trial and error needed to find the right technique. Oh wow, I LOVE the rainbow cupcakes! 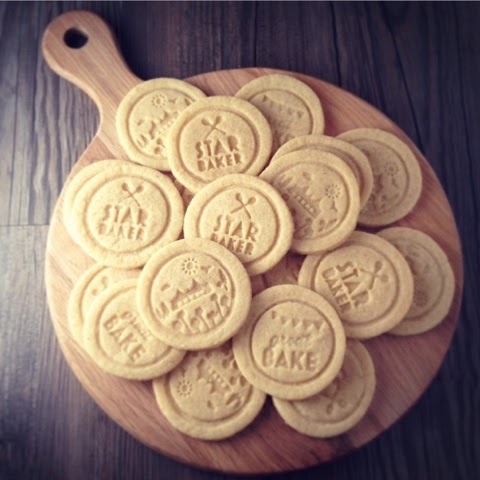 I think your stamped cookies looked great too! 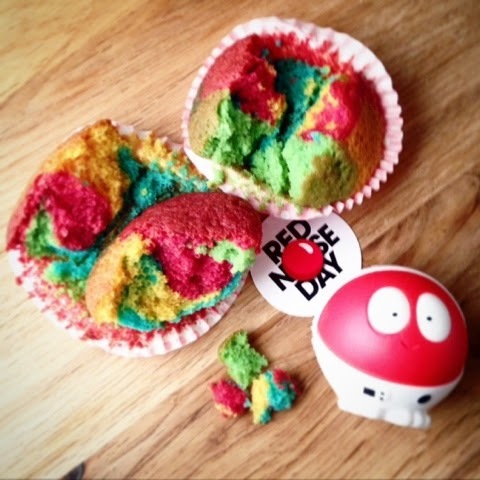 The rainbow cupcakes were a big hit, two more batches have already been made by my kids. They are definitely fun food.